Our custom CNC-cut enclosures are made in the USA. 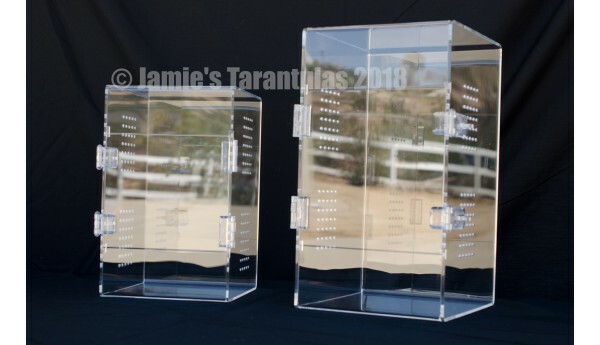 Free Ground shipping included in the price!10 x 10 x 20" Adult Tarantula Enclosure - When place..
Free 1-3 Day shipping included in the price!Main photo - 7x7x11" cage on left and 8x8x14" cage ..
Free 1-3 Day shipping included in the price!Main photo - Complete arboreal shown with an adult femal..
Free 1-3 Day shipping included in the price!Main photo - Complete Terrestrial shown with an adu..
Free 1-3 Day shipping included in the price! 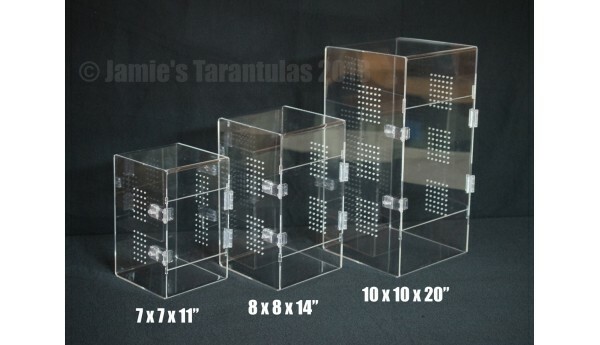 8 x 8 x 14" Adult Tarantula Enclosure - Photo..
Free 1-3 Day shipping included in the price! 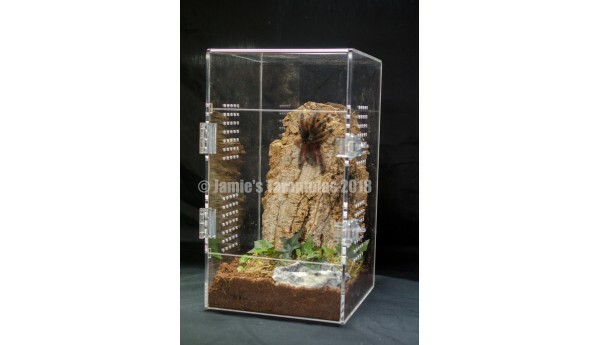 Complete Arboreal Adult Cage Includes:-..
Free 1-3 Day shipping included in the price! 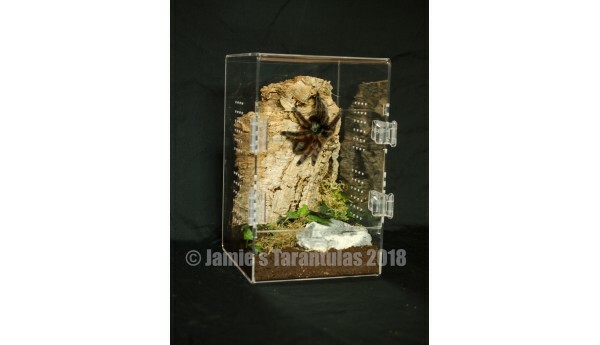 Complete Terrestrial Adult Cage Include..